Description Compliments of Superior School Photo Service 6869 Woodlawn Ave. N.E. Seattle, Wash. 98115 on cover. 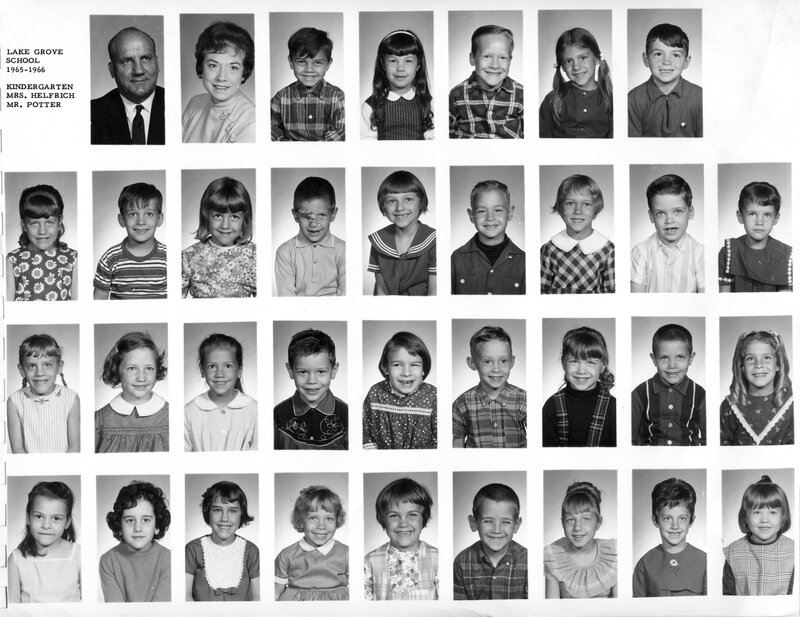 Lake Grove 1965-1966 Kindergarten Mrs. Helfrich, Mr. Potter. Dried material over eye of boy 4th from left in second row.